Space-themed vacuum cleaners, and more. 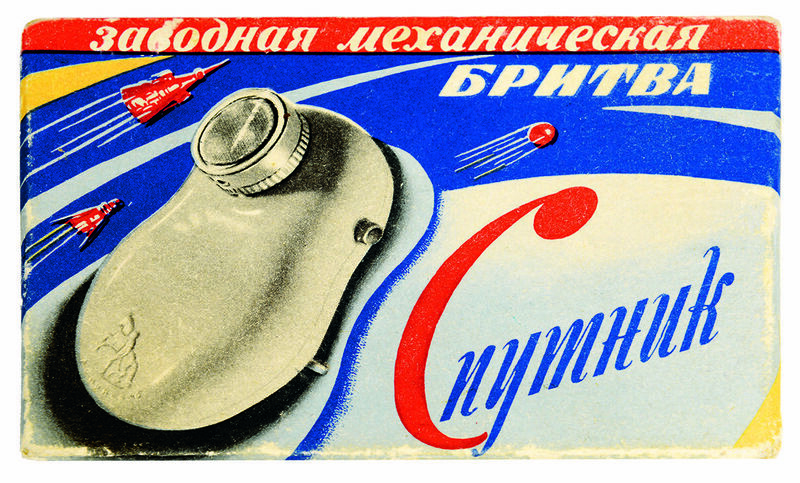 From domestic appliances to clothing to children’s toys, everyday items from Soviet life are the subject of the new book Designed in the USSR: 1950 - 1989. It’s a comprehensive look at a momentous four decades, in which otherwise mundane products often had an additional purpose: to replicate items from the West, or to promote Soviet achievements. The Saturnas vacuum cleaner did both. Entirely spherical and encircled by a beige-colored ring, it was released in 1962, the year after the cosmonaut Yuri Gagarin became the first human being to travel into outer space. This mini-planet cleared dust from the floor, while its form reminded its user of the USSR’s space capabilities. It was also based on an existing American product, Hoover’s Constellation vacuum cleaner, which was released in 1955. Saturnas vacuum cleaner, manufactured by the Welding Equipment Plant, 1962-70s. Some of the products featured in the book have since become iconic, such as the Nevalyaskha roly-poly dolls that righted themselves to an upright position. Others remained as prototypes, such as the Belka A50 compact car, which had a stub-nosed front and a bubble-shaped roof. And some have enjoyed a second life in post-USSR Russia: cosplayers have been known to use the top half of a Saturnas vacuum cleaner as medieval helmets. Atlas Obscura has a selection of images from the book. Belka A50 (Squirrel) compact car project, prototype designed by Yuri Dolmatovsky, Vladimir Aryamov, Zeyvang K, K. Korzinkin and A. Oksentevich, 1955-56. Atmosfera portable transistor radio, 1959-61. Anton, Masha and Grib Nevalyashka roly-poly dolls, 1956-70s. Rozhki pasta packaging, manufactured by the Rostov Pasta Factory, 1980s. Young People, Go to the Textile Industry! Social awareness poster designed by Miron Lukyanov, 1970s. Moskva (Moscow) cigar packaging, manufactured by the Pogar Cigarette and Cigar Factory, 1958-60s. The cover for Designed in the USSR: 1950-1989. *Correction: An earlier caption originally misidentified a camera as a Vilia camera 1974-85. It is an Iskra (Spark) folding camera. These rare Russian insignia are a colorful relic of Soviet space travel. Distinctive designs from the "Golden Age" of roller-skating.